Starting to play sports, regardless of the purpose of your training, cardio will be useful for you. For these purposes, the Treadmill is popular equipment. It allows you to run without leaving home. 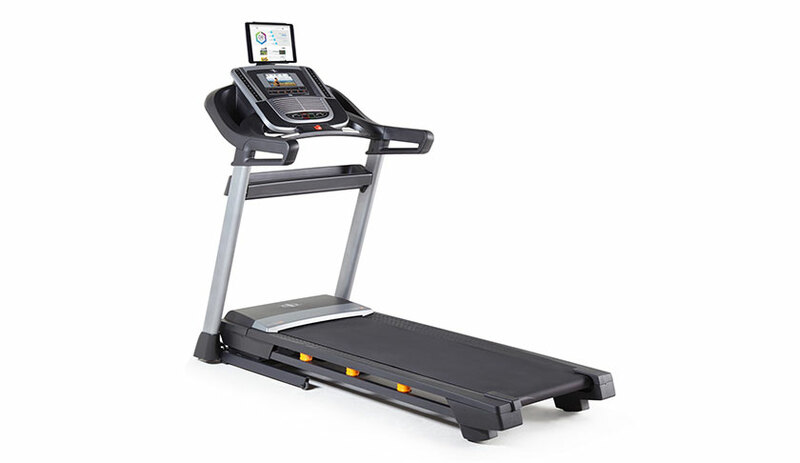 We have prepared a Nordictrack C990 Treadmill Review in which we will consider the main features, advantages and disadvantages of this model. This model is equipped with a modern control system with Smart HD Touchscreen and the ability to connect the tablet. Let’s begin. The characteristics of the control system and the functionality of this equipment are beyond doubt. At the moment, this is a great set of features for easy use. This equipment will require some space. It is better to initially free up more space for accommodation so that you are comfortable to approach and train. If you don’t have much space you can fold the Treadmill. So it will be more compact and take up less space. In addition, in this form, it will be easier to move it. It is possible that you do not need to build yourself. But it will be useful to understand exactly how to set up or adjust the equipment for yourself. To show clearly what Nordictrack C990 consists of, we have prepared a scheme with the main components. Assembly and configuration instructions can be useful. Download Nordictrack C990 Manual it will certainly come in handy. In it, you will find answers not only to questions of Assembly, but also useful information on storage, maintenance. A separate section is devoted to the use and training. All information is presented in detail, each instruction is shown step by step. This information seemed to us interesting and useful. Also, read the warnings before use. You can start training if you have no health problems. Make sure this is before active exercise for what consult with your doctor. Before you start training, you need to perform a small warm-up. Or you can start training with a minimum load. To exercise were the most effective recommended using a heart rate monitor. This will allow you to perform exercises in the desired pulse zone. This will burn fat and train the cardiovascular system in the optimal mode. Below we present a table with recommended operating modes. How find the proper intensity level? Training zone 1 Burning Fat – with this level of heart rate, the body begins to burn fat for energy a few minutes after the start of training with such a pulse. Intensive training should not exceed 20-30 minutes. In some cases, alternating loads are used. It is important that the room was ventilated – a sufficient amount of oxygen has a positive effect on metabolic processes in the body and burning calories. With the help of the control system, select the desired training program and additional options for a more comfortable workout. One of the interesting features is the audio trainer. This is a function of additional recommendations during training. This is a good model of high quality. It is perfect for home and will allow you to train comfortably. However, at the moment there are more modern analogues, more functional. We recommend you to compare their capabilities. Great treadmill. For about a year I use it at home and is very happy. I can train anytime.